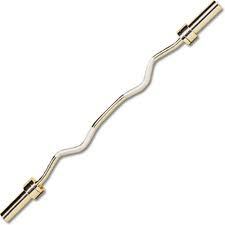 This EZ Curl Bar offers biomechanically angled dual grips allow you to help avoid injury and achieve maximum gains. Each set of grips strategically target the inner and outer bicep heads. ideal for home use, high school and personal training studios.